We will be organizing a half day talk on the transition of Goods and Service Tax (GST) to Sales & Service Tax (SST) on Thursday 7.6.2018. Morning refreshments and lunch will be provided. 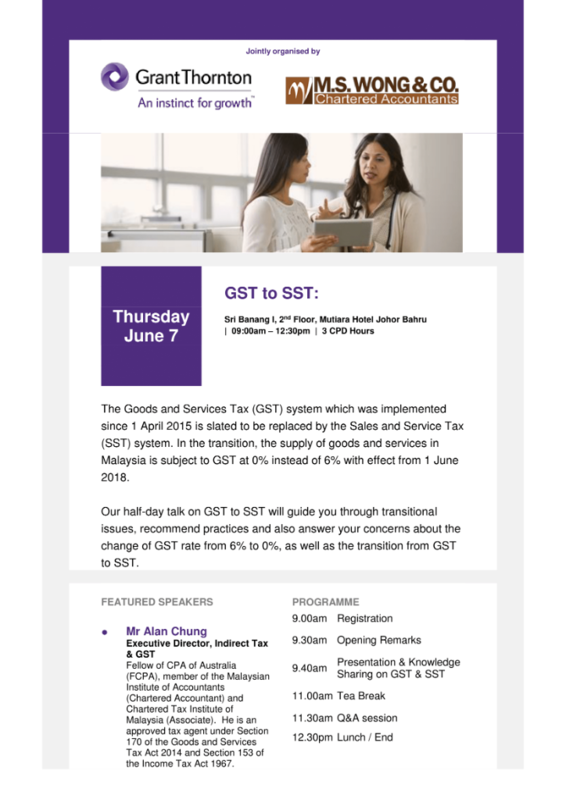 We are proud to invite a guest speaker Mr Alan Chung from Grant Thornton Malaysia to share his view and expertise on the transition of GST to SST. Mr Alan is a distinguished expert in the field of GST and he has spoken at many MIA seminars and national tax conferences. 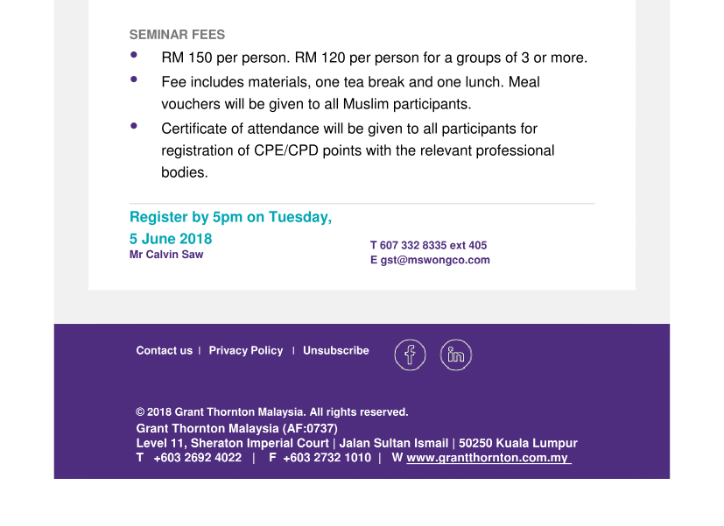 Join this talk on 7th June 2018, Morning (9.00am – 12.30 pm) by clicking on the link below. Limited seats available. IMPORTANT CLARIFICATION: Customs has now stated in their latest FAQ that sales and purchases at standard rate 0% should be declared in column 5 (a) and 6 (a) of GST-03 return respectively. 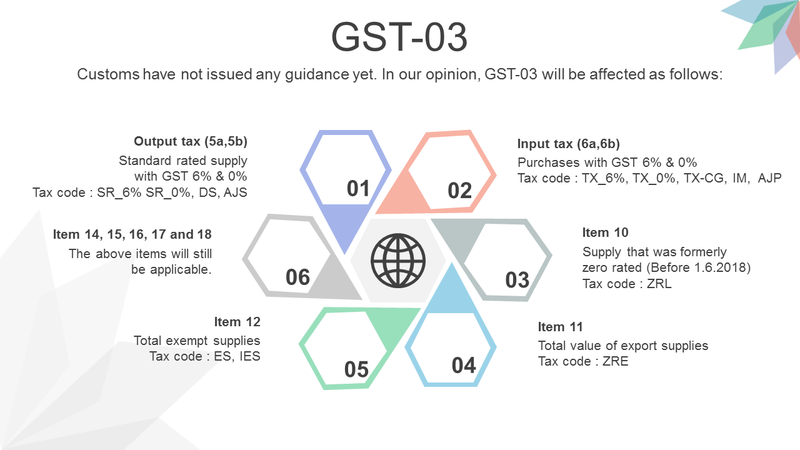 We have summarized the impact on GST-03 on the diagram below.